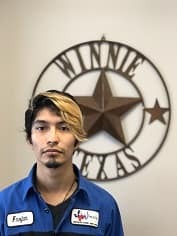 Born and raised in Winnie, TX and a graduate from East Chambers High School. Kathy has 3 children and 4 grandkids. 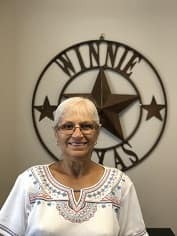 She has been part of the Winnie Dodge team for 4 years now. 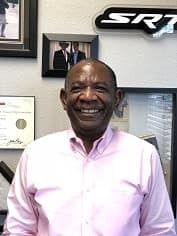 From Baytown, TX where he graduated from Robert Lee High School, Fred then went on to University of Houston to get his degree and a Masters in Business Finance. He has three daughters and three beautiful grandchildren. 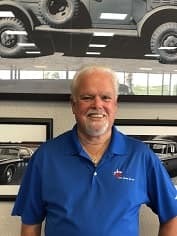 He has been in the car business for over 40 years. He has been a salesman, Finance Director, Sales Manager, General Sales Manager. 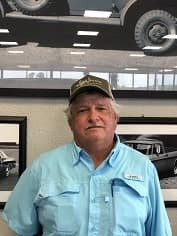 After Hurricane Rita Fred began working in the Winnie area and in 2017 he joined the Winnie Dodge family. Born and raised in Willis, TX. 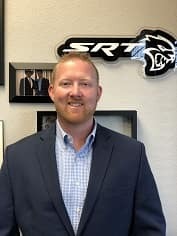 Jason played baseball for Willis, High School and went on to play college ball at Angelina JR College and Northwood University. He was a Business Management and Marketing major and an Accounting Minor. After college Jason went to work professionally for the NHRA, IHRA, and PDRA drag racing for 10 years. 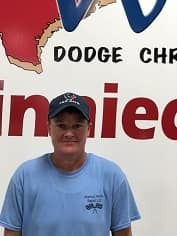 When he decided to leave his career in drag racing he came to Winnie Dodge in 2016. 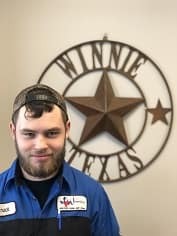 He now resides in Winnie, TX with his fur baby a chocolate lab named Rocky. 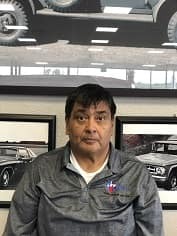 Danny graduated from Anahuac ISD and then went of to Lee college to continue his education, then he began his venture in the car business and has been in it for 30 years. He currently lives in Beaumont, TX with his wife Carmela. He has two children Dusty and Megan. Danny joined the team at Winnie 5 years ago. 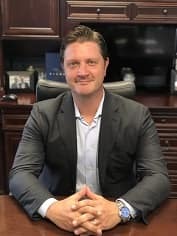 Froy came to Winnie Dodge in January 2017. He enjoys building models and video games when he is not at work. Originally from Oregon, but now resides in Winnie, TX. 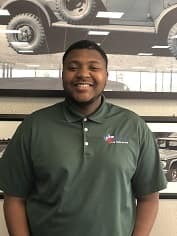 He began his career in the automotive business when he joined the team at Winnie Dodge in January 2017. Chad is from Edna, TX but later moved and attended school in Alvin, TX where he graduated high school from. 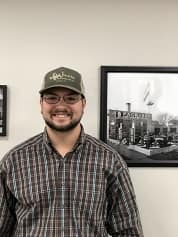 He attended college at Alvin Community College and studied architecture and mechanical design. Chad is married to his wife Catherine. He has a son and is a proud new grandfather to a baby boy. At home they Chadbourne’s have a 30 year old parrot and a couple house cats. Ever since Chad was young he has had an interest in taking things apart then fixing them. This interest paved the way to his career in Auto Parts. Chad has been working in the Auto industry for nearly 30 years. He began working as a machinist on the weekends at an auto parts store. Then ventured on to being a general mechanic at a couple garages. 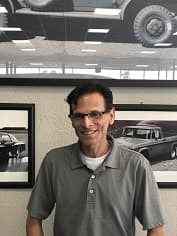 For the majority of the last 22 years he has been working in the parts department at Chrysler, Dodge, Jeep, Ram dealerships as the parts counterperson, wholesale, and assistant manager of parts. 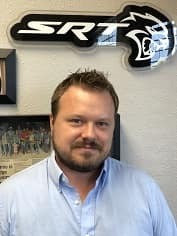 He has been a FCA certified parts advisor for the past 9 years and a FCA certified parts manager for the past 8 years. 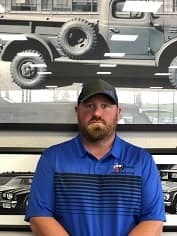 5 years ago before Winnie Chrysler Dodge Jeep Ram even opened its doors Chad was hired as our Parts Manager. 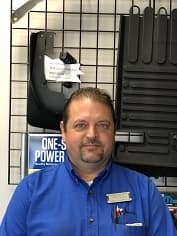 He has grown his department tremendously and is an expert when it comes to parts. Terri and her husband Ken have been married for 14 years. They live in Winnie with their three children. 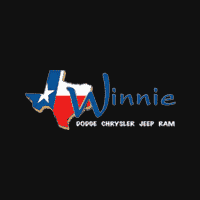 She joined the Winnie Dodge team 9 months ago. 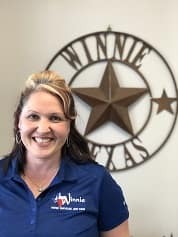 Kylie was born and raised in Winnie, TX where she graduated from East Chambers Independent School District. She is the mother to two children Brday and Mckenzie. 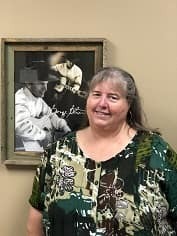 She began working in the car business back in 1998. Kylie was one of Winnie Dodge’ first employees and was hired on in 2013 before the dealership officially opened. She has been with the company for 5 years. 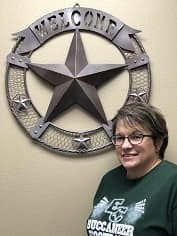 Charlotte attended school in Barbers Hill till 9th grade where she participated in band and FFA. She then transferred to Dayton High School where she graduated from in 1979. She continued her education at Lee College in Baytown and studied Computer Programing. Her first job after college was in the automotive business. She loved it! In 1987 she joined on at Bayshore Dodge, when the “ugly truck” was still around. She officially became a Mopar Girl. She was the Office Manager there for 6 years, then became the General Manager for 8 more. She has been with Chrysler products ever since. 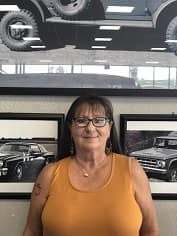 She started her 25th year in the Dodge business by excepting a position with Winnie Chrysler Dodge Jeep Ram in 2013 as the Controller. 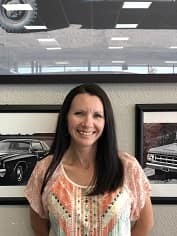 She is in her 30th year with Chrysler products and 5th year with Winnie Dodge. In her spare time she enjoys serving as Chair of Finance Council of Holy Trinity Catholic Church in Mont Belvieu. 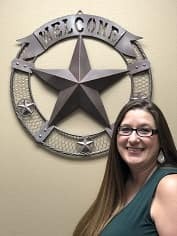 She is also on the Mont Belvieu City Council. She has a brother and sister she spends time with and a boxer she rescued named Gus.